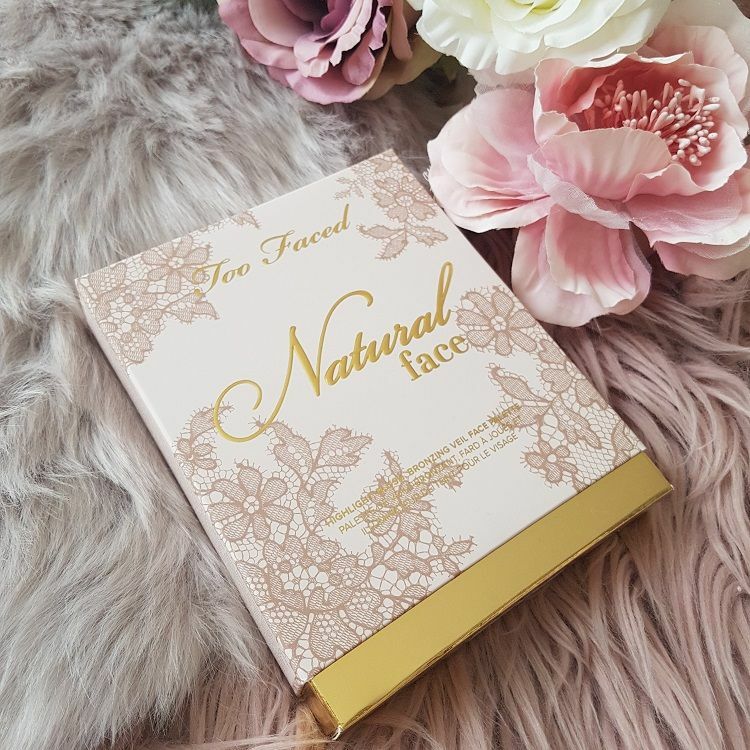 The Natural Face Palette has probably the most beautiful design ever. Too Faced is a makeup brand that got me forever with their beautiful packagings. They are gentle, colorful, with a lot of attention dedicated to the tiniest details. We all know that I’m despised with a plain black plastic that the makeup is mostly packed in so that Too Faced is visually totally my cup of tea. 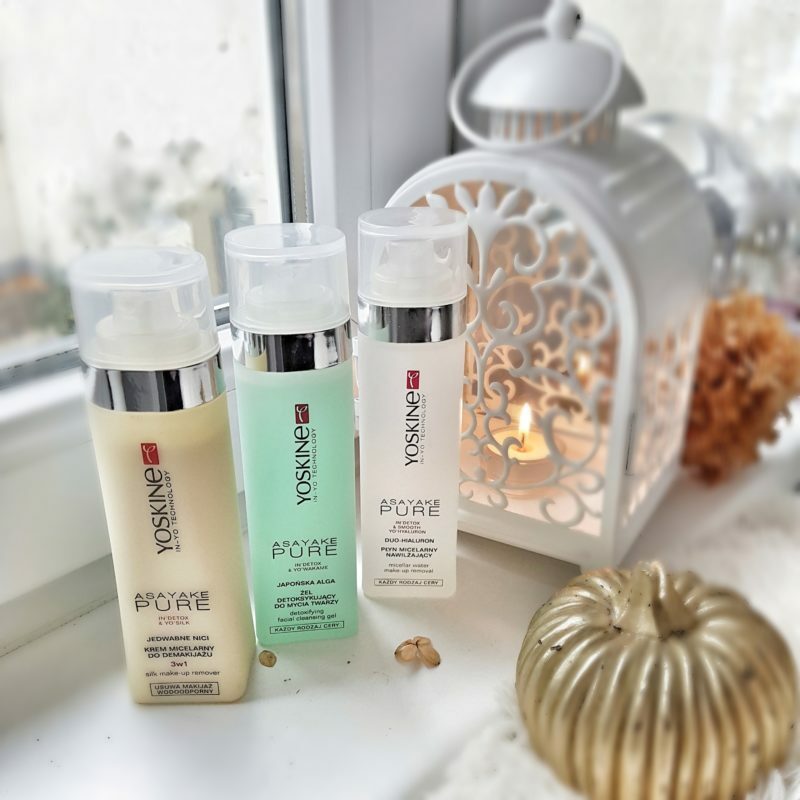 Aside from the fact that each of their products is very handy for making beautiful Instagram pictures, please check my Instagram if you have not followed me so far. 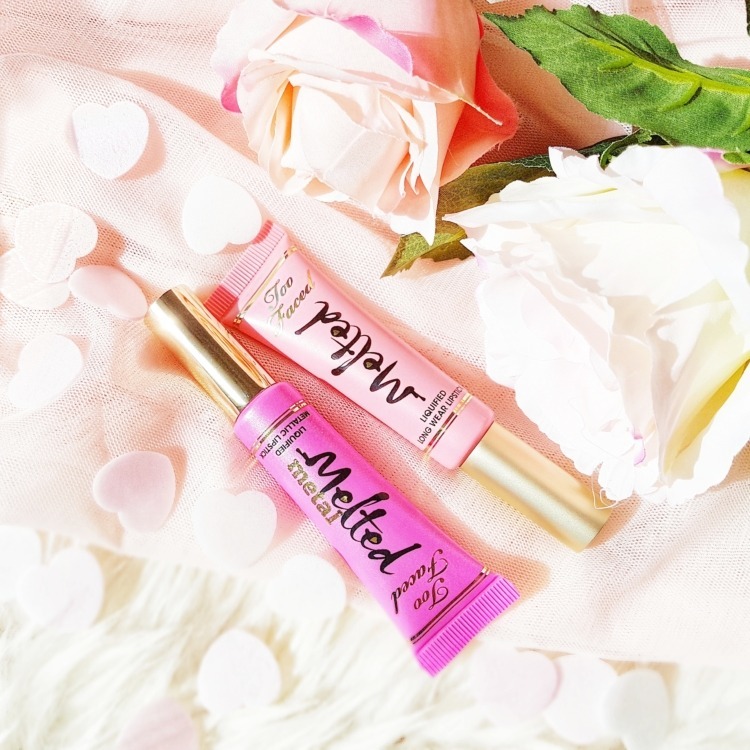 Honestly saying, although I’ve fallen in love with Too Faced design, I have long abstained from buying their products. 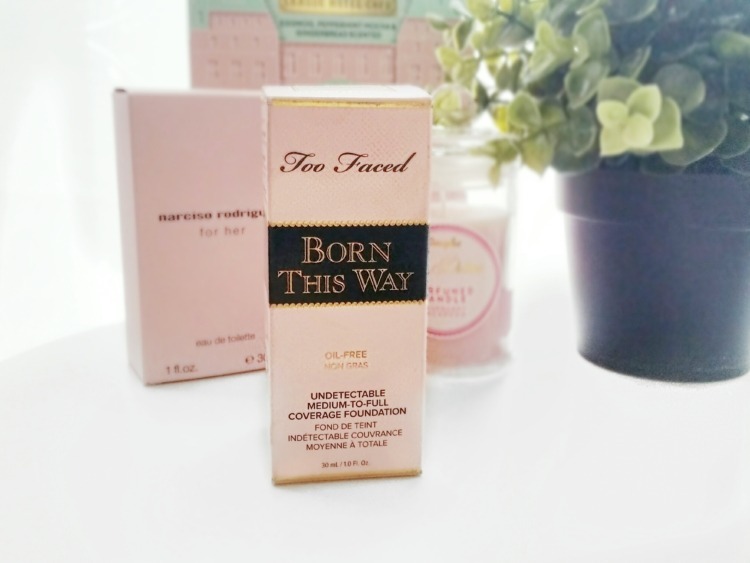 On the blog, you can find reviews of the Born This Way foundation that was like … meh … as well as the Semi Sweet chocolate pallete. Okay, but it could have been much better for that price. 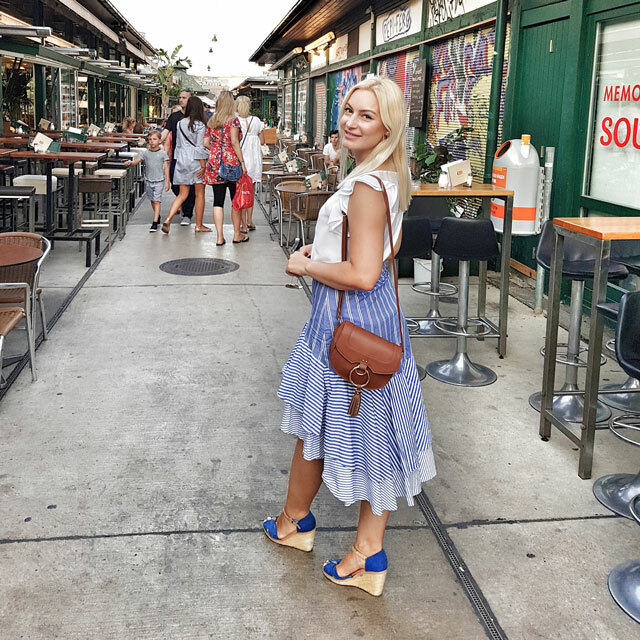 Then they had all those fails, lots of dramatic collaborations for their pallets, lots of scandals, they lost focus, customers complained about pigmentation, poor colour selection, on the oxidation of Just peachy foundation … Luckily I didn’t invest my money in any of those products. Patience is everything. 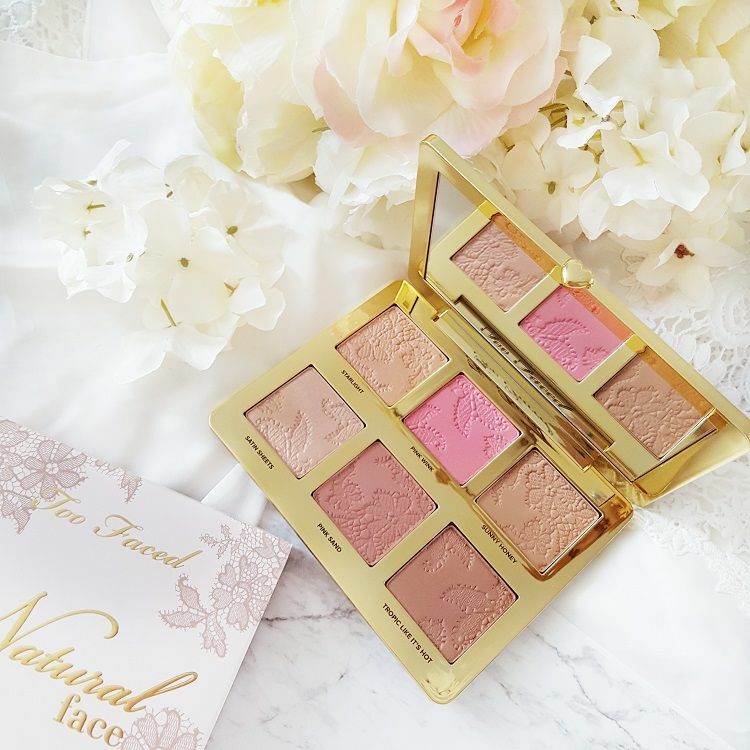 The Too Faced Natural Face Face Contour Palette is launched as part of the Just Comes Naturally Spring 2018 collection and the beautiful news is that it will be permanent. 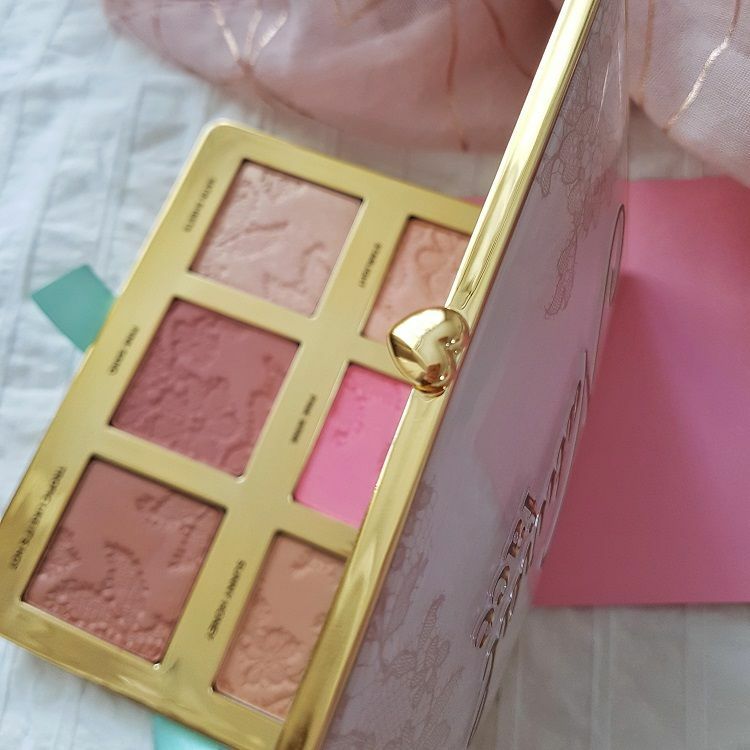 Too Faced gathered and released a beautiful line of neutral makeup, with three palettes, lipsticks and redesigned bronzers. Everything is just drop dead gorgeous. 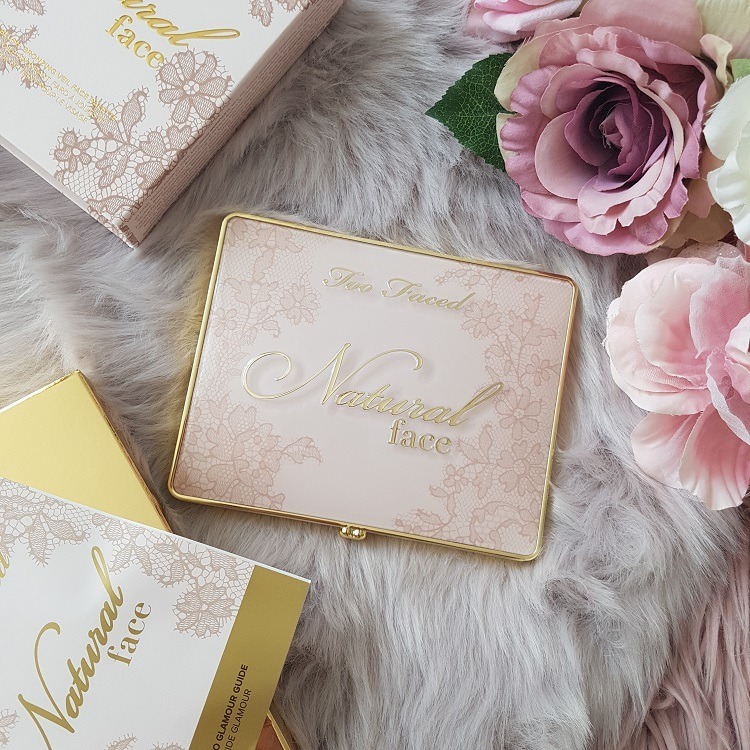 As soon as I saw the Natural Face contour palette on their site, I knew it would be mine. I bought it the very moment I found it in Sephora and that’s how our love story began. 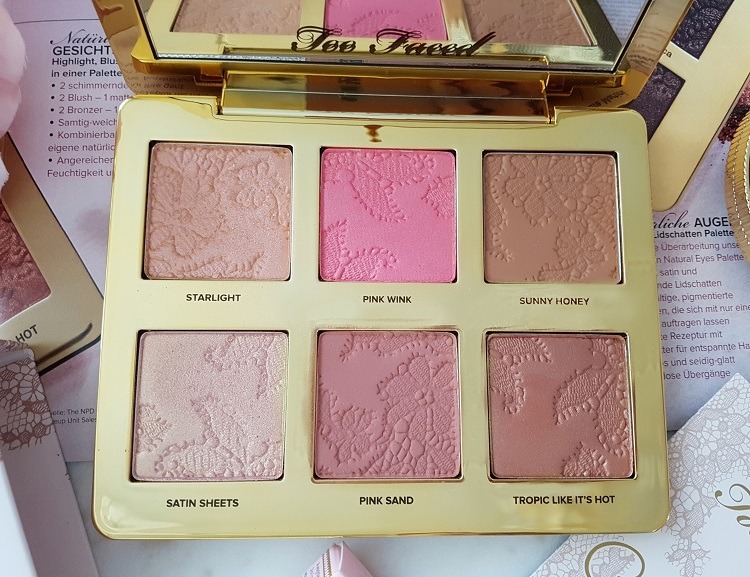 The Natural Face Palette by Too Faced has probably the most beautiful design ever. Pure luxury at its best. A beautiful color selection, ivory, and gold, solid packaging of smooth surface and lace motif. Heart shaped opening button. A momentary association of tenderness, weddings, dreams. The mirror is large and beautifully done, with Too Faced inscription at the bottom. 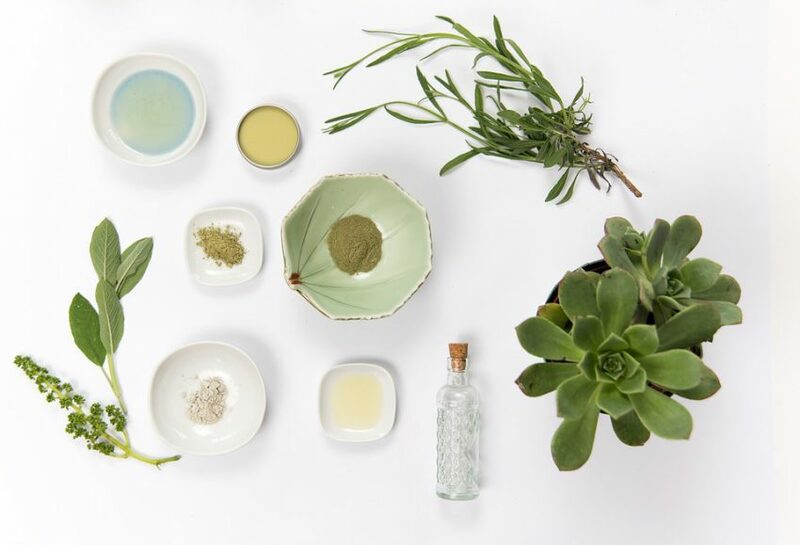 From the palette spreads the pleasant smell of vanilla and coconut, another trend characteristic of this brand. Within the package, there are 6 large square panes, each of 2 g, with the same embroidered lace floral motif. I admit it’s not easy to dive a brush in the pan. Yet, I bought the palette to love it and to use it, so the difficulty is quickly overcome. Love at first touch. The most beautiful formulation in the world with coconut butter! The colours that were worth the wait! 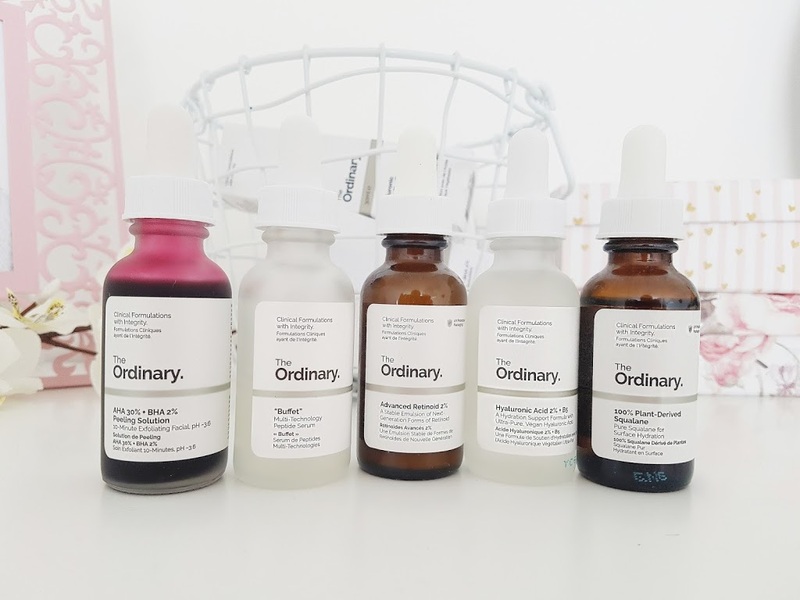 Pigmentation at a high level. Choice of nuances – perfection. 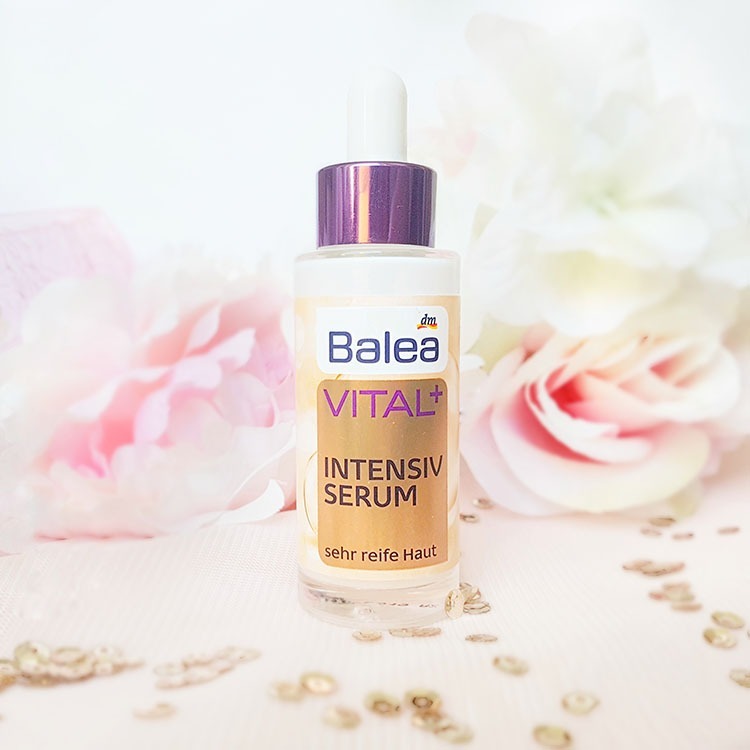 This beauty perfectly fits the brighter and darker skin types that are common in our European area. Buttery, soft, lightweight, buildable, blendable – shades that have to be admired. The pallet consists of two highlighters, two blushes, and two bronzers. All nuances combine well with each other and give a nice look to the skin, sun-kissed or natural. Starlight highlighter has s a silky texture with warmer undertone. Champagne with pink particles. Finely milled. It’s not boring so-many-times-seen silvery shine, it’s duochrome. Unexpected and excellent. Satin Sheets is my personal favourite of the highlighters. Duochrome as well. Gentle light pink with tiny golden shimmer. I did not put anything better on the cheekbone and the tip of my nose ever. 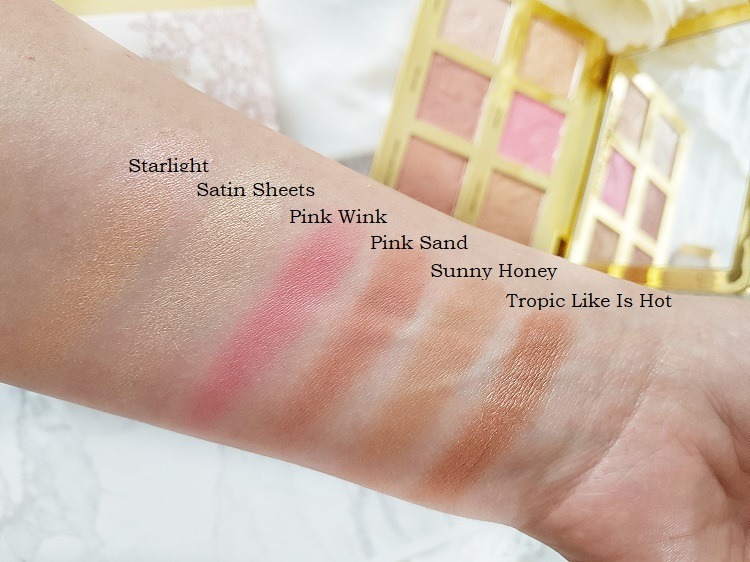 Blends ideally with powder and blush. The golden glow gives almost a fairy glow to your face, you must try it to understand what I’m talking about. Enchanting. Pink Wink blush. Intensive and vibrant. At first, I thought it would be too bright, but as you guess, it’s not. 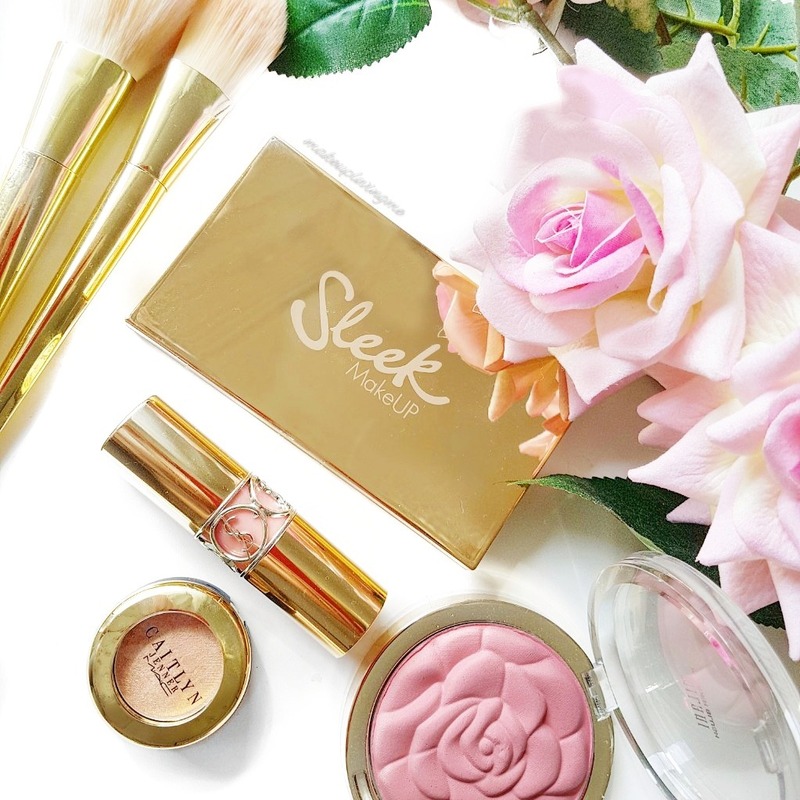 Blends magically on the cheeks, giving a beautiful gentle pink colour to the face. Pink Sand is a beautiful blush with a darker muted pink tones. It looks sophisticated on the skin. The formula is slightly more transparent than the rest of the pallet, which makes it even easier to operate. Sunny Honey is a beautiful matte bronzer with a hint of ginger. Excellent for defining face contours and I reach for this bronzer most often. Tropic like is hot is the last pan in the pallet, the bronzer also, but with a fine golden shimmer. The colour is terracotta, warmer, earthy. For my light skin it is too dark, when I get tanned, it will have its chance to show itself in full shine. I would dare to say that this is currently the best powdery product available on the market in terms of texture and pigmentation. 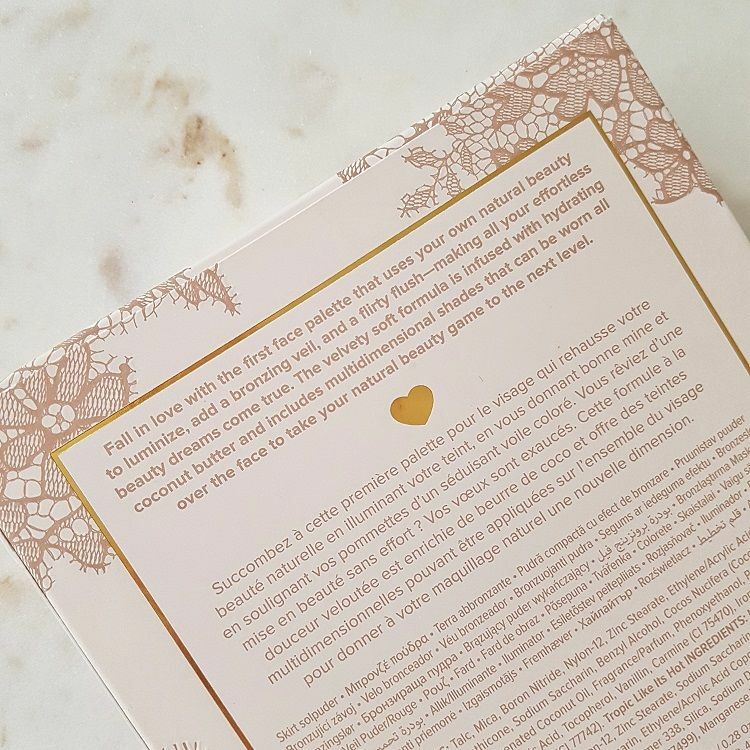 In addition to the palette comes a booklet with three suggestions on how to contour the face, and who is not skilled in contouring, can try to recreate the look from the proposal. It’s easy to say how satisfied I am that I have this palette. How do you like this palette? 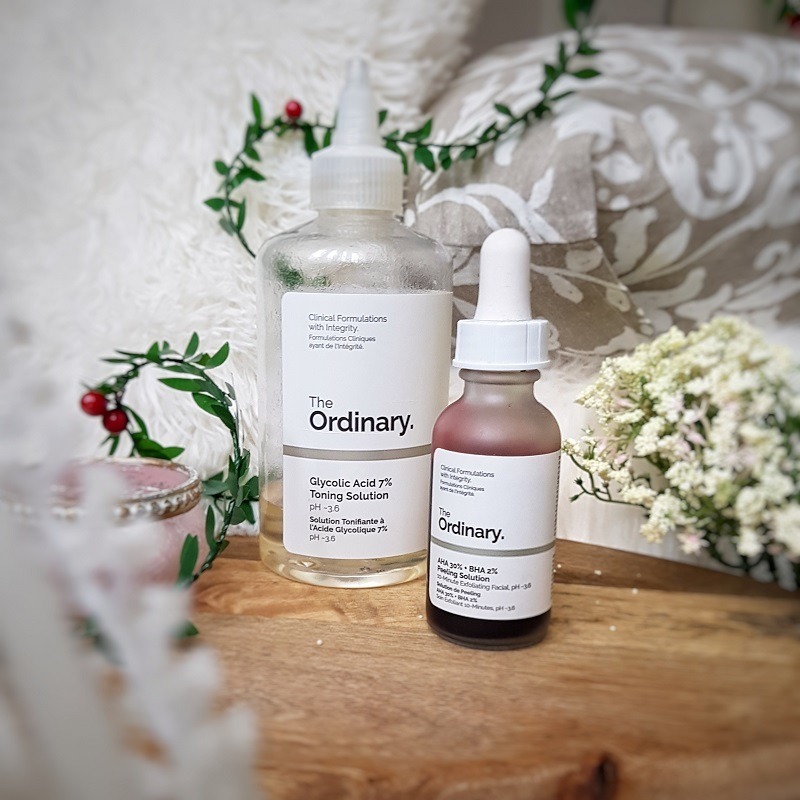 Do you plan to buy something from Just Comes Naturally Collection?